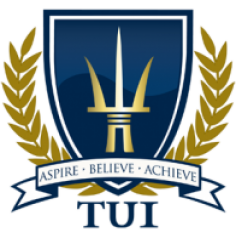 Trident University’s Complaint Resolution System (CRS) is designed to provide quick and decisive resolution of complaints that require formal investigation of potential actions inconsistent with: accreditation standards, state or federal regulations, and Trident policies, including conflict of interest, discrimination, and harassment. Please do not use the CRS for general questions or requesting assistance from university departments, such as: Student Advising, Finance, IT or Registrar. Although students may utilize the Complain Resolution System to submit their concerns, most common inquiries can be resolved by reviewing the following frequently asked questions. I requested my transcript and still have not received it. Typically, transcript requests are processed within three to five business days. Please note Trident cannot release your transcript(s) requests if you have any unresolved financial obligations. Why do I have a return balance? When will my financial aid come in? I am doing my MPN and I cannot find Trident in the list of schools. Why can I not move forward from ISIR status (step 9) on the Trident FA Application? You will also not be able to complete full Trident FA app on the portal until 72 hours after you have completed the FAFSA and Trident receives the ISIR. I am completing my Trident FA app, but I am stuck on the second step. If you are using a mobile device or Safari browser on a Mac, you will need to use a different browser or laptop/desktop computer. If you are using Mac, we suggest using Goggle Chrome. I am disputing the grade I received for my last course(s). First, exhaust all efforts to informally resolve the complaint/grievance. If you wish to file a formal complaint, access the CRS link via the Student Portal. After it is received, your complaint will be forwarded to the appropriate university personnel for investigation and resolution. Once resolution is reached, a follow-up will be conducted with you before the case is officially closed. For more information, see the University Catalog. A student or any member of the public may file a complaint about this institution with the Bureau for Private Postsecondary Education by calling 888-370-7589 toll-free or by completing a complaint form, which can be obtained on the bureau’s internet web site www.bppe.ca.gov. Students residing in states other than California may contact their respective state agency. Please access the state authorization page for information on specific state agencies.